Dusshera / Durga Pooja is celebrated across India in different ways. West Bengal is famous for it’s pandals and Gujarat for Dandia . 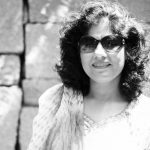 In the northern states – Punjab , Uttar Pradesh, Delhi for the first 8 days people fast from specific ingredients and on the 9th day young girls who are considered incarnations of Devi on earth are offered food and on the 10th day an effigy of Ravana is burnt in a huge community bonfire. During my childhood the fasts were more like feasts! 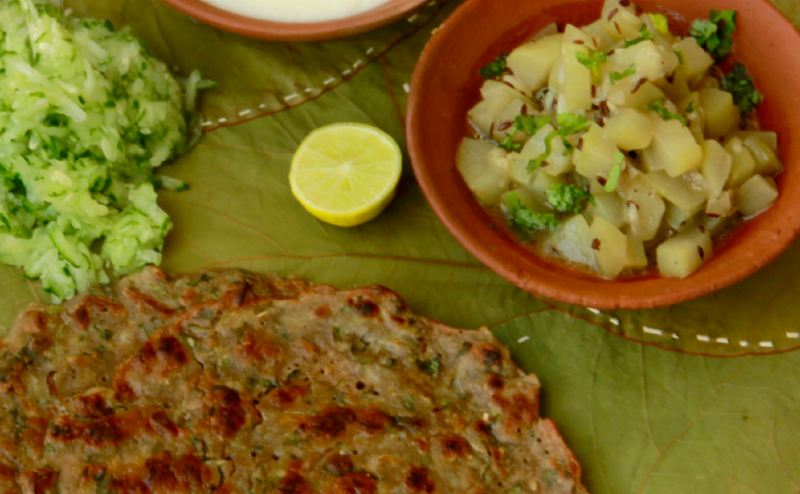 For religious reasons the food made during Navratri must not use many of the normal ingredients like rice and dal and hence an entirely new cuisine gets created. 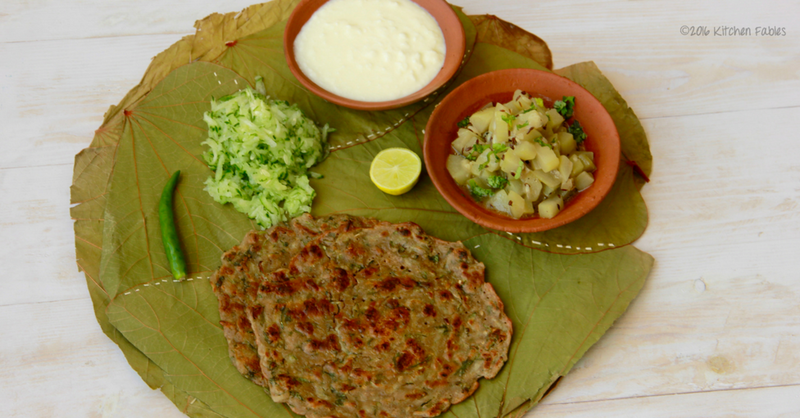 Allowed ingredients include potato, curd, Singhaare ka Atta (Water Caltrop flour), Singhare ka Atta (Buck wheat flour) etc. 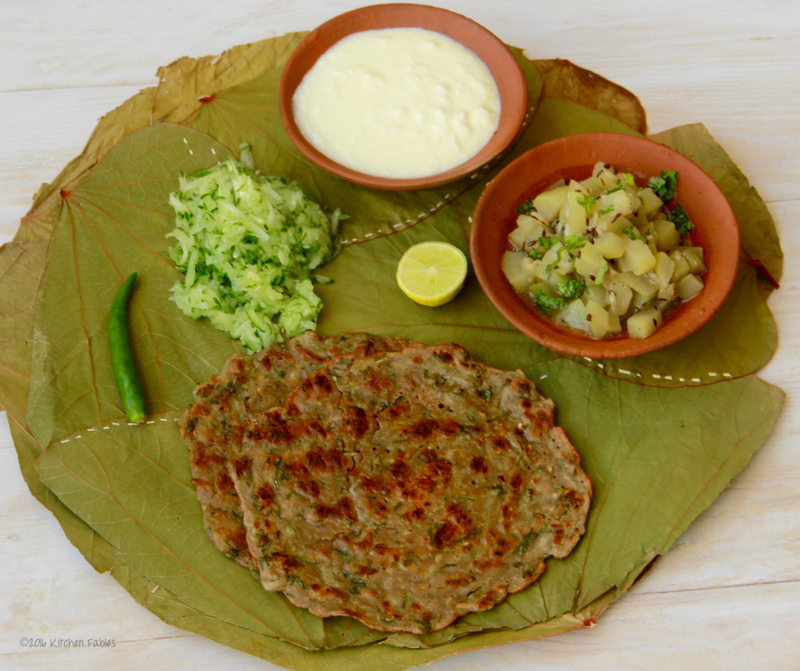 My favourite fasting tali used to be Fritters made with various vegetables and Singhare ka Atta (Buck wheat flour) or Singhaare ka Atta (Water Caltrop flour). As we grew older, and started avoiding deep fried food , mom used to make food which was light, required more vegetables and lesser flour and oil. 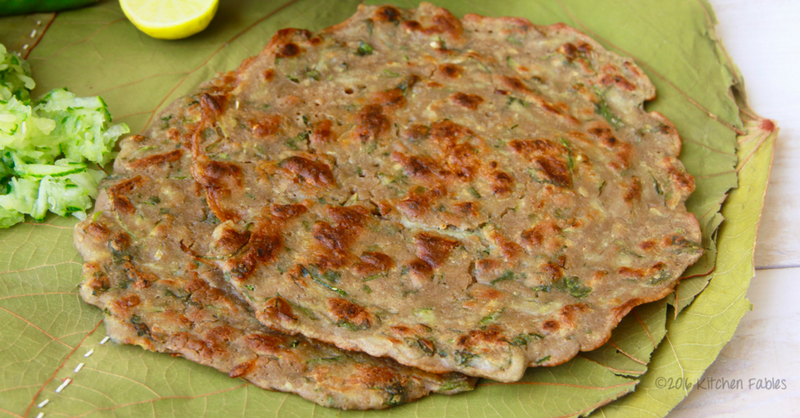 Kuttu ke aate ka chilla ( Pan Cake made from Buck wheat flour ) is easy to make and does not require much oil or ghee. Adding grated cucumber makes it lighter adding more fibre to the meal. You can also add grated Radish or Bottle Gourd. 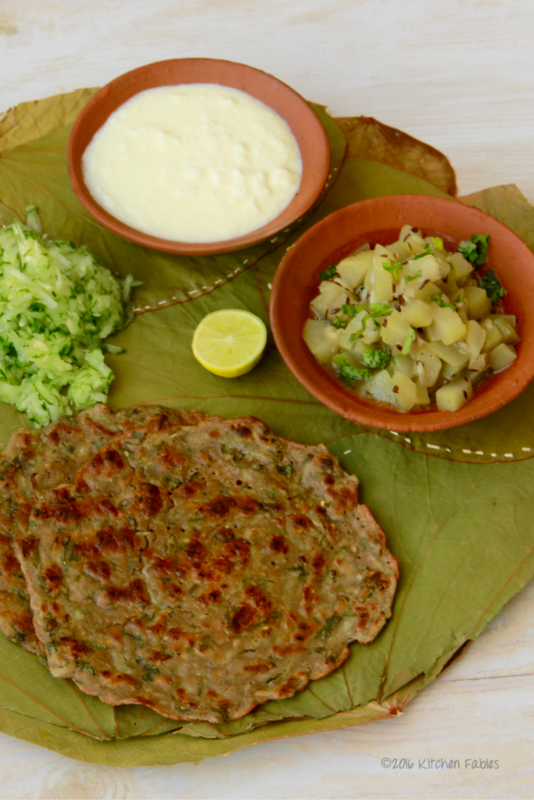 Served with a light and simple bottle gourd dish, curd and salad it is a whole some meal. Now a days I prefer to eat fruits, nuts , or a smoothie when fasting. However, once in nine days I make a proper fasting meal like my mom used to. Heat Ghee in a pan or a pressure cooker and add Cumin seeds. When the cumin seeds start crackling, add green chilly and stir. Add the bottle gourd, salt and cover with a lid. 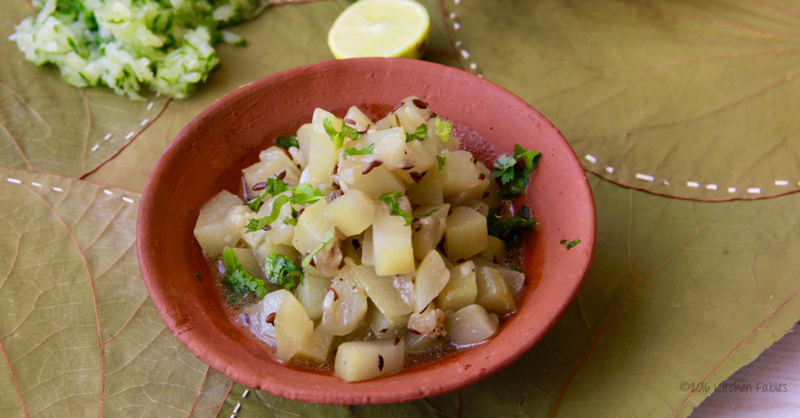 Normally bottle gourd gets cooked quickly in its own steam and does not need to be pressure cooked. If you are cooking in a pressure cooker add a 1/2 cup water and pressure cook. Switch off the flame after 1-2 whistles. Sieve the flour through a strainer. Heat a non stick pan. when the pan is hot put a ladle full of batter and spread it on the pan. Lower the flame. after 3-4 minutes flip the chilla and let it cook from the other side till cooked. drizzle ghee as required and cook well till both the sides are cooked well. Serve with Curd and vegetable and cucumber salad. Nice combination of foods for fasting.